Which Lottery Games Have the Best Odds of Winning? These days there are so many lottery draws to bet on that it can be super difficult to make a decision about which to spend your hard earned cash on, whether as part of a syndicate, or on your own. It can help to know which lottery games have the best odds of winning and that’s what we’ll aim to do in this piece, so read on and find out how you can improve your chances of winning big! 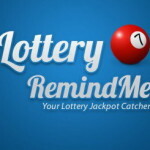 Which Lottery Games Have the Biggest Jackpots? It’s the very first thing any lottery player wants to know – how big is the jackpot? Here are just a few of the biggest recorded maximum jackpots from across the world. Which of the World Lottery Draws Has the Biggest Chance Of Winning? 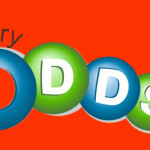 You can see from the list, which of the global lotteries has the biggest jackpot, but which of these draws will give you the greatest chance of winning (statistically)? As you can see, the Austrian Lotto offers a relatively large jackpot, with reasonable odds and tickets that are relatively well priced, with the UK’s National Lottery in second place. The US Powerball offers the biggest jackpot, but with statistically much less chance of winning than any of the other lottery draws. Generally speaking, playing a lottery with a large jackpot will give you the longest odds of winning, which is true as more people will try and play them – believing that a large jackpot gives a greater chance of winning big! Often times people will look at smaller draws operated by smaller concerns and not think about entering, because they see the prize money as not being enough, or perhaps not worthy of parting with their cash for. This is a mistake as statistically, there’s likely to be a greater chance of winning little and more often with some of these companies. In the long run, this can be more beneficial to the player and to their bank account! One of the draws that offers a greater chance of winning, but with a lower prize fund is the UK Health Lottery. A relative newcomer to the market it is made up of around 51 different local society lotteries that all aim to raise funds related to the health care sector and to do good for people who are less fortunate. In terms of prize money, it can vary from between £25,000 to £100,000 (28,388.96 Euros or $33,470.00 to 113,564.70 Euros or $133, 908.00) dependent on how many tickets are sold at any given draw. There’s a one in two million chance of winning on any of the draws players choose to enter, so these are significantly higher odds than on other draws that pay higher stakes. The odds of winning any prize on the draw aren’t particularly great compared to winning the jackpot itself, but it’s still a better bet than many other lottery games on the market right now. The France Loto gives its players the best odds of winning any prize at all at six to one, and it is also relatively cheap to enter, making it good for those people who don’t want to spend too much on lottery games to being with. Although the odds are quite generous, the prize pots and jackpot amounts are not that high, but there’s still a good chance of winning a nice tidy sum of money – and that’s better than nothing at all! The France Loto has a minimum jackpot, which stands at 2 million Euros, just like the Irish Lotto. Every time the jackpot isn’t won, the total rolls over to the tune of an extra 1 million Euros. However, when this happens, the odds of winning become reduced to nineteen to one. 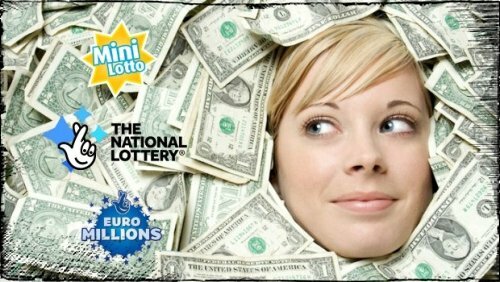 This is perhaps one of the best kept lottery secrets – the Mini Lotto is a Polish lottery draw that has some of the best odds to offer its players. Poland does have its own main lottery draw but this was set up as a secondary competition to offer players another chance to win – much in the same way the National Lottery has its main draw and other draws like Thunderball and so on. Again for this, the jackpots are not huge – they’re roughly in the region of 56,782.35 Euros, but your chances of scooping the jackpot are around eight hundred and fifty thousand to one! Entering is also cheap, at around twenty five pence per ticket and draws take place on six days a week, so there is plenty of opportunity for players to win small sums or even the main jackpot. 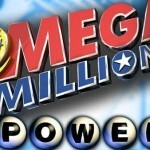 Is it worth playing Powerball and Mega Millions anymore?